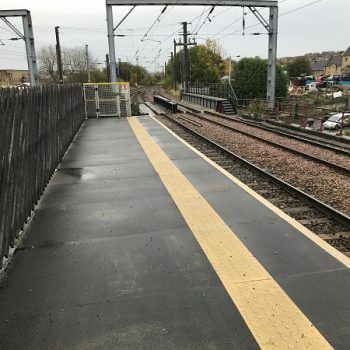 Light-weight GRP Everdeck Panels used to extend platform. 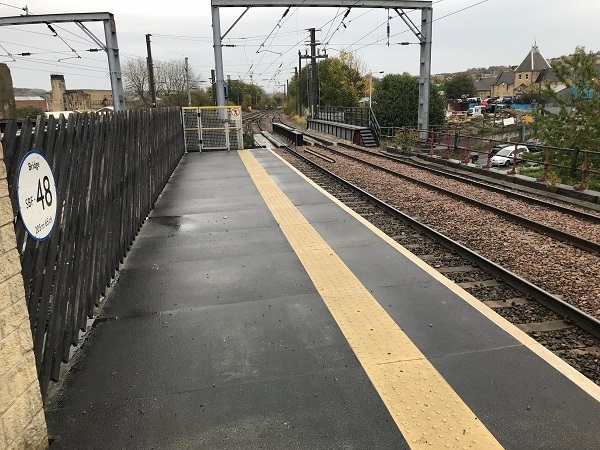 Solving Network Rail’s requirement for larger platforms at stations that simply don’t have space. 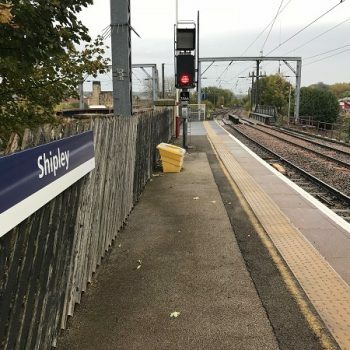 We fabricated and installed a twenty-five-metre extension of Platform 3 at Shipley Station, West Yorkshire, to enable an extra carriage to be added to train services. The extension utilised space on a bridge, crossing a river and a road. 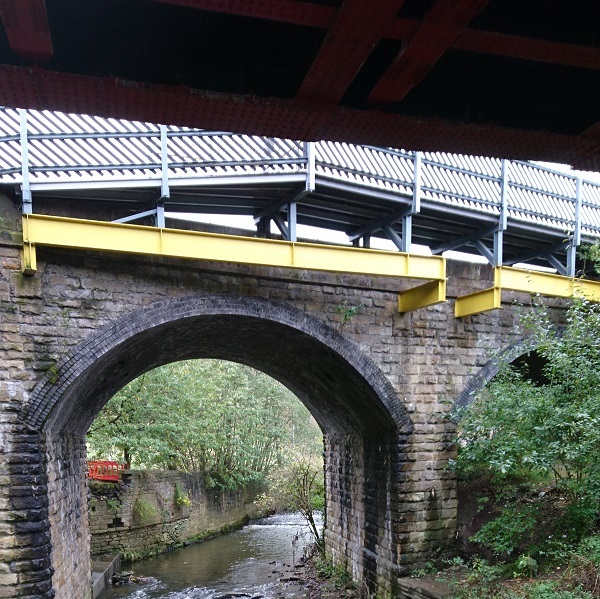 The relatively lightweight properties of GRP, in comparison to traditional materials, provided an excellent solution. Original plans were for timber but due to its favourable characteristics, GRP was the chosen material. The lightweight characteristics enable GRP to be used on structures that require a reduced load, rather than traditional heavier materials such as wood and metal. 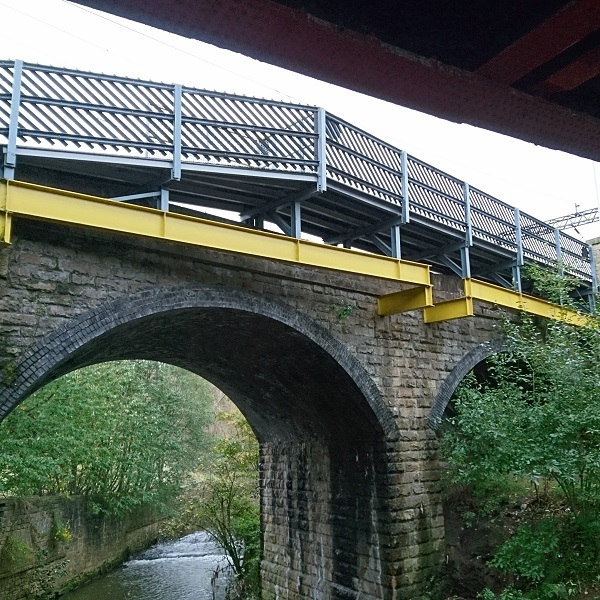 Additional benefits of GRP include, it’s easy to handle and quick to install. Fabrication can be done in the workshop where needed or on-site with easy assembly. It is long lasting and durable with little or no maintenance requirements. 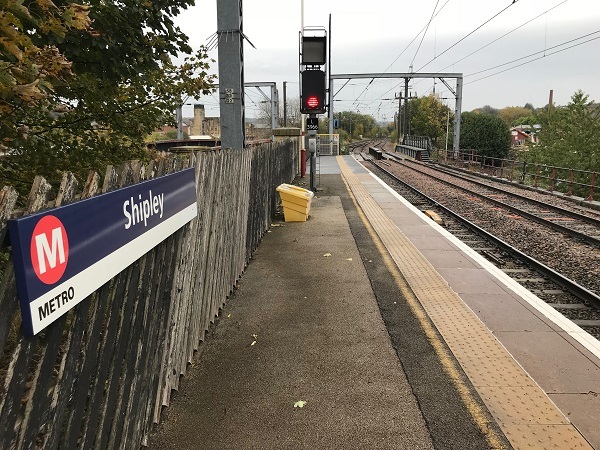 The whole project at Shipley Station is made up of GRP Structural Beams, our Everdeck system of GRP Platform Panels, an Access Gate & Anti-Trespass Panels.